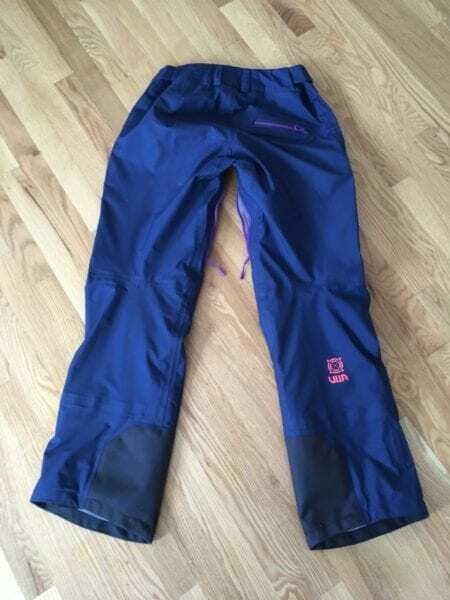 The Helly Hansen Aurora Shell Pant is the only pair of ski pants I have needed all season. They have been with me in the backcountry, during early morning skin tours up the resort, and riding the lift on powder days. 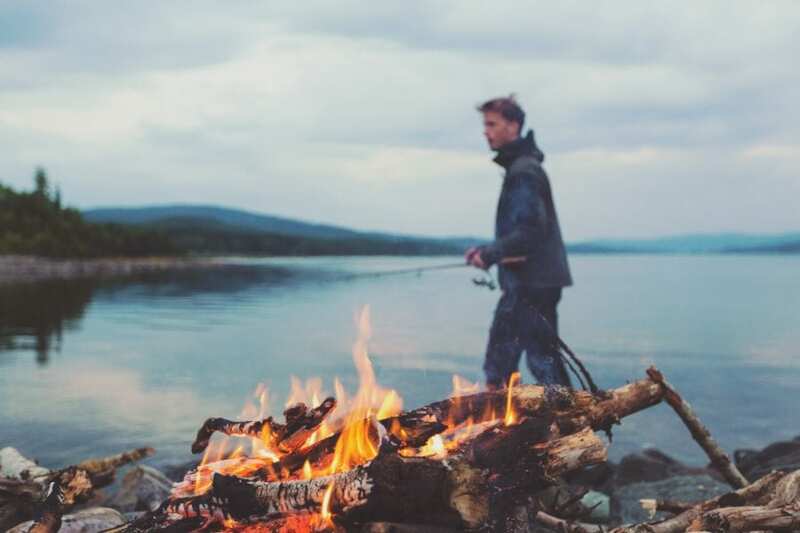 The Aurora Shell Pant has been in use for at least 40 days and has not disappointed. Helly Hansen incorporates their top line fabric, Helly Tech® Professional 3L fabric with the latest FLOW membrane, which is a 3 ply fabric lining. 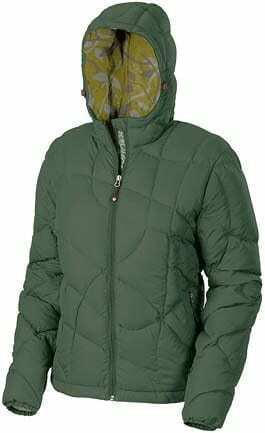 The weatherproofness of the outside and the breathability of the inner layer means that you stay protected and dry from the outside and inside. When I push the pace on the near 3,000 ft ascent at the local resort I do get pretty sweaty in my low back, which is inevitable no matter what pants I have on (even if just a base layer). The liner shines in how quickly it drys, about 10 minutes, and doesn’t cause me to chill or become stiff when it dries again like other liners. Helly Hansen adds yet another layer of protection with a DWR treatment to the entire garment and on the inside, each junction of fabric is fully seam sealed. 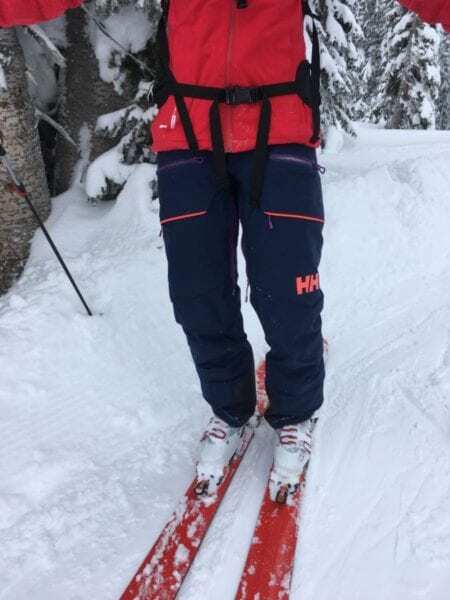 The Helly Hansen Aurora Shell Pant is waterproof, breathable, and kept me plenty warm despite the temperature or snow conditions. For days spent skinning, I pair the Aurora Pant with a running knicker/capri that is lightweight and breathable. For bitter cold days when I ride the lift, I add a heavy tight under these pants and they do the trick with temps below 0F. 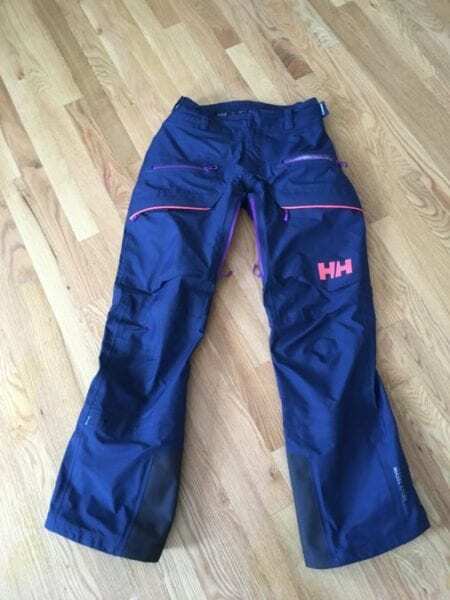 The Helly Hansen Aurora Shell Pant flipped inside out to showcase the soft liner and seam sealing. The Helly Hansen Aurora Shell Pant features some of the best pockets around. The free-ride fit means that the pockets are lower than regular ski pants. 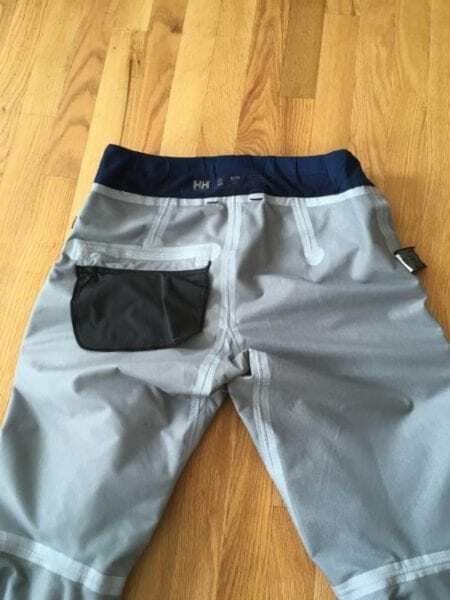 In my mind, all pants should set the pockets lower to avoid the hassle of lifting your jacket to reach a pocket that may be under your packs’ waist-belt. Helly Hansen doesn’t make you deal with that problem and features two hand zippered pockets with a rugged, easy to open and close with mitts, YKK® Aquaguard™ Vislon® water resistant zippers. In the photo below, these zippers are purple.The right pocket features a cord and clip that can be used to attache your beacon to. I typically prefer a chest strap for my beacon, but this feature may be useful for those that have a harness or other attachments at your chest. 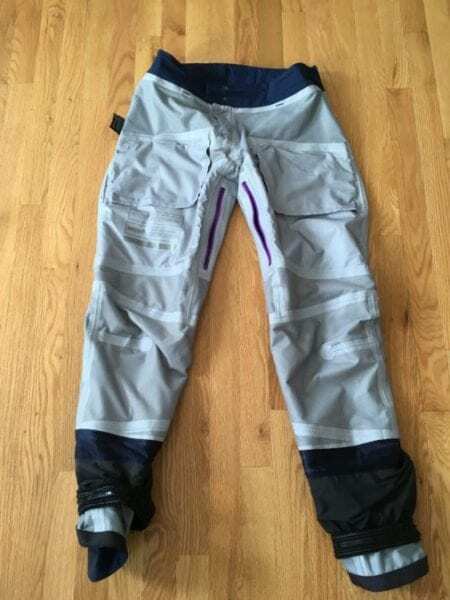 Just below are two additional cargo pockets with a storm flap to cover the zipper. I place my phone, keys, or extra liner gloves in these pockets and they don’t bother me at all. Sometimes pockets can be over the thighs or hang to the knees with the objects bouncing around, this is not case with the Aurora Shell Pant pockets. Inner thigh vents. These vents are easy to open and close while on the move thanks to an easy loop on the zipper. My one request for these vents is that they be about 2 inches longer, towards the knees, to dump even more heat on warm days. A reinforced bottom hem is a great addition, and frankly I wouldn’t mind seeing this fabric on the outside of the pants as well. Burly scuff guards look like new despite major use. Silicone grippers on the boot gaiters are sticky and stay put on your boots to keep the snow out. The gaiters feature a breathable mesh fabric at the top of the gaiter to help dissipate heat from your boots/feet. RECCO® Advanced Rescue system: these pants feature a reflector that is so small that I don’t even notice that its’ there. A big step up from the old reflectors. 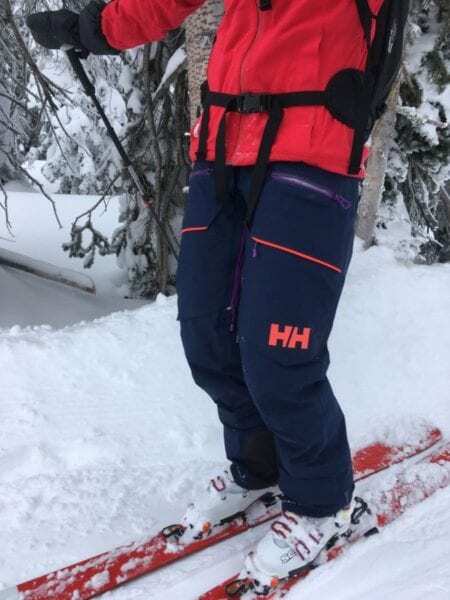 Snap integration with Helly Hansen jackets (or other ski jackets) with loops to attach to the pants’ belt loops. 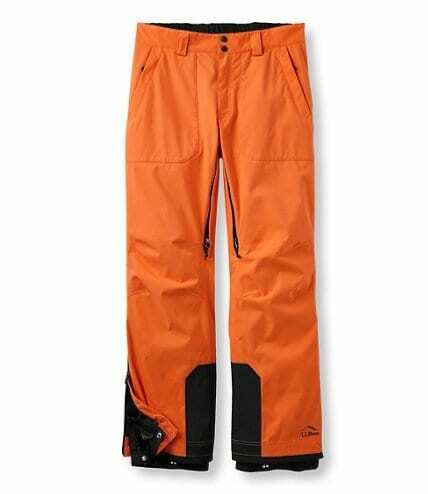 The Helly Hansen Aurora Shell Pant features a looser, or free ride fit. Therefore, they run a little larger than most pants that I have tested and that was completely ok. 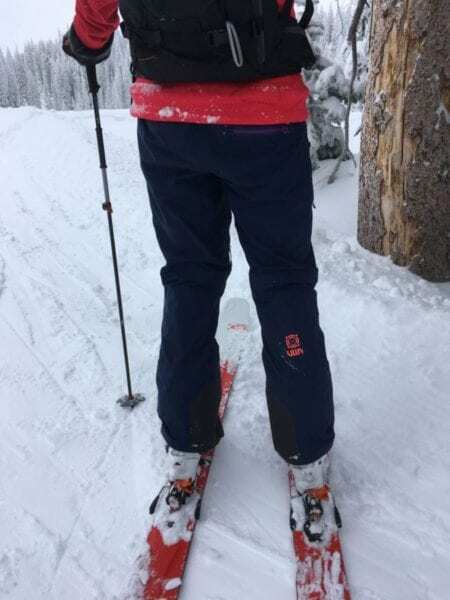 The articulated knees and larger fit meant that I never worried about my pants when skiing. Which is the point, right? Comfort, good fit and performance are key to a good day on the slopes. These pants are available in size XS to XL and run true based on the size guide. The pants feature waistband adjustment on each side that is holding tight after using these pants for about 40 days so far this winter. If the velcro closure does start to fail, no need to fret as there are generous belt loops to wear a belt with. When carrying a larger pack, like on hut trips, I add a belt for extra security. My favorite feature about the Aurora Shell Pant is the inseam, which is generous at 86 cm or 33.8 inches. At nearly 5’9″, these pants were a great length and covered up my boots, sit nicely on my low waist, with some room to spare. With that said, if you are petite, you may want to try these to ensure they aren’t too lengthy. Shannon, our fabulous female tester, takes gear testing to a new level for women. 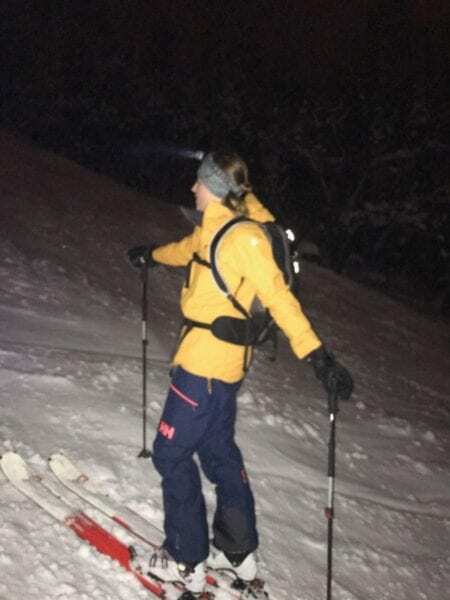 When not at work or school, she is most likely training for a marathon, climbing one of Colorado’s tallest peaks, riding her road bike, or skiing down a mountain slope. 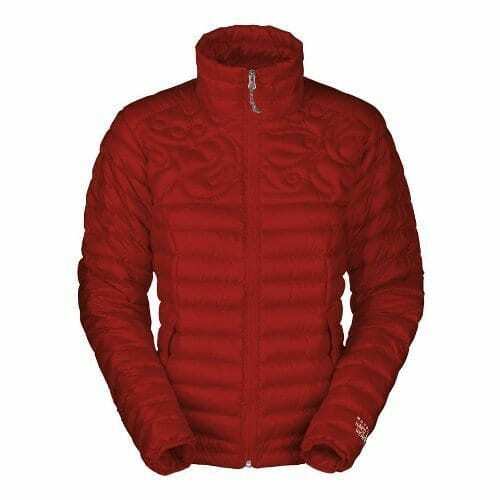 Like many women, Shannon gets cold easily, therefore, we try to test the best all weather gear to help her stay warm and dry during all day outdoor pursuits. 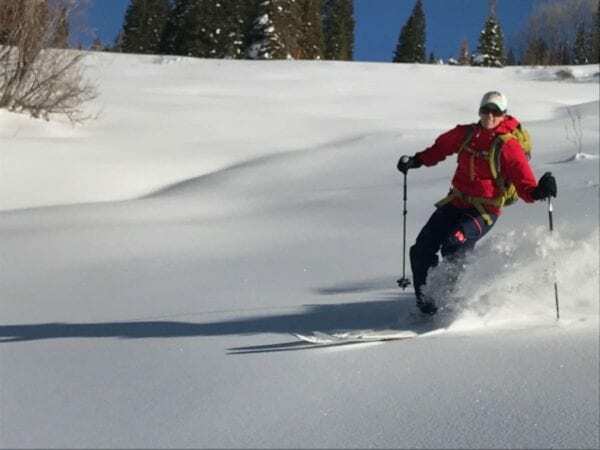 In the warmer months, Shannon enjoys exploring the Colorado backcountry with her friends and dogs and attempts to escape for as many trail runs as her schedule allows. Shannon is a great women’s tester because she gives readers true insight into how a product may perform for an active woman.